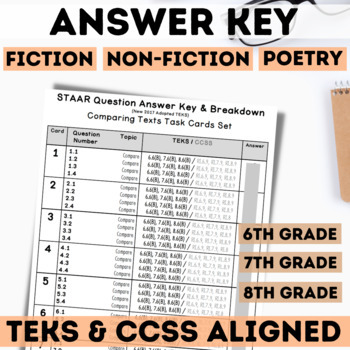 These 10 task cards are perfect for STAAR test prep or standardized test prep. 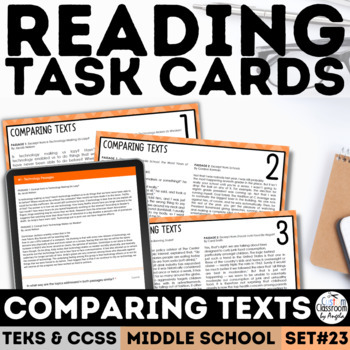 The task cards each pair together either fiction excerpts from popular youth novels on similar topics, same subject information texts (hot topic articles) or pair a fiction excerpt with a poem. 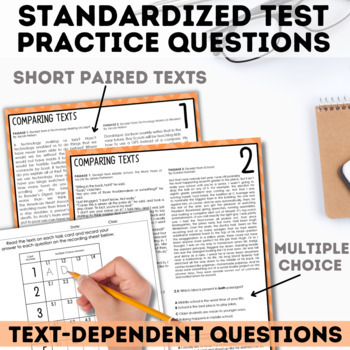 The paired passages with multiple choice questions will help engage your students as they practice answering a variety of questions comparing two texts. They can be used in small groups, literacy centers, stations, partner work, intervention groups, and much more. You could also use one card at a time with your whole class as a warm-up, mini-lesson, or exit ticket. 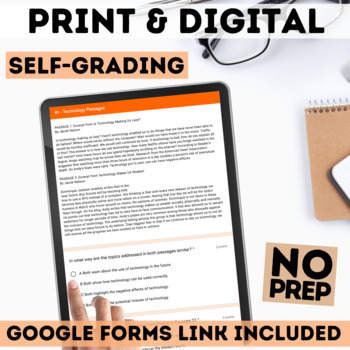 An answer key is included as well as a student recording sheet.